Welcome to our Foreign Language Department web page. 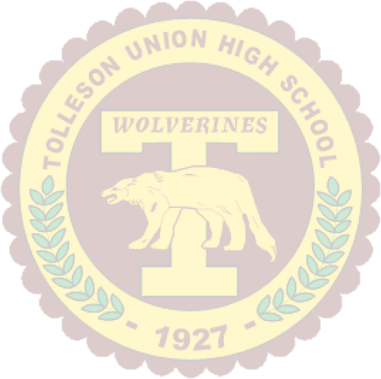 We are happy to share our love of language and culture with you, and we hope to inspire you to choose to study a foreign language while at Tolleson Union High School and beyond. But everyone speaks English, right? Well, certainly not everyone speaks English. According to the CIA World Fact Book, only 5.6% of the world's total population speaks English as a primary language. That number doubles when people who speak English as a second or third language are counted. By conservative estimates, that means that well over four-fifths of the world's population does not speak English. It's true that English has become a global lingua franca over the past several decades; this fact, however, really should have little effect on your decision to learn a foreign language. The attitude that English alone is enough, in fact, creates self-imposed limitations. To remain monolingual is to stunt your educational development, to restrict your communication and thinking abilities, and to deny yourself the ability to fully appreciate and understand the world in which you live. Learning another language opens up new opportunities and gives you perspectives that you might never have encountered otherwise. Personal, professional, social, and economic considerations all point to the advantages of learning foreign languages.